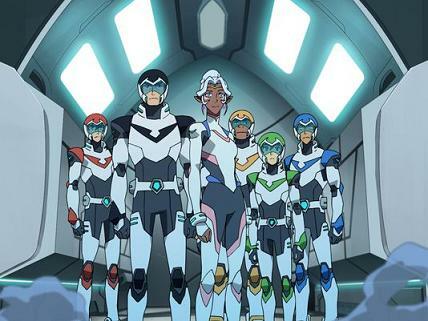 The second season of Voltron: Legendary Defender will debut on January 20th. The DreamWorks Animation series rebooted the 1980s animated TV show and the first season has become immensely popular. The TV show began life as a Japanese anime, Beast King GoLion, before being converted into the American version. The new trailer revealed some interesting insights into what we can expect next season. The Paladin astronaut team is back piloting the super robot Voltron, but they are being pursued by Zarkon and the Galra Empire. Zarkon is determined to recapture Voltron and bring him under his control. In the finale of the last season the Paladins had been transported by a wormhole to different parts of the Galaxy, the second season will begin following on from the events of the last episode. Lauren Montgomery and Joaquim Dos Santos are returning in season 2 as showrunners and executive producers. They are well known for their work on Avatar: The Last Airbender and The Legend of Korra. Voltron: Legendary Defender season 2 will debut on Netflix on January 20.